Ever met a 13-year-old entrepreneur? We spent this weekend with 10 unbelievably bright young minds competing in Start-up Toi-Même, the start-up competition for young entrepreneurs. And we’re 99% certain we met the next Zuckerberg. Start-up Toi-Même is a “digital ideas contest” for 13 to 17 year olds, who pitch their start-up idea and show off their entrepreneurial instincts to compete for top prizes from partners including Google and Les Napoleons, including a trip to Silicon Valley and ultimately the opportunity to develop their idea for real with the funding and support of Biig, the digital strategy agency, and its network. We spent the weekend with these fantastic young entrepreneurs as part of the workshops and on the jury, and we were seriously, seriously inspired. Following the success of last year’s inaugural competition, 10 kids from across France were specially selected from a huge pool of applicants to come to Paris for a weekend of workshops. This second round of the competition saw sessions (including some by OneRagtime’s Benjamin and César) on getting the right business model, on considering legal elements, incorporating tech into your start-up, start-up communications and perfecting your pitch. The very sophisticated projects included ideas like building a start-up to crowdsource the collection of outdated drugs and a platform to discover cities through connecting with locals. On Sunday, the pitches were finalised and each entrepreneur delivered their vision in front of the jury for 5 minutes, followed by 5 minutes for questions. 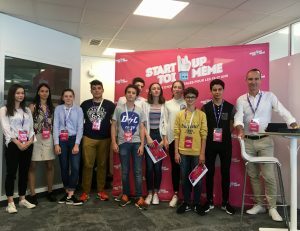 Romain and Elisa from OneRagtime were present on a jury including Emmanuel Cadious, CEO of Biig and the founder of Start-up Toi-Même, Floriane Fay from Google France, David Groison, the head of Phosphore, a magazine for teens, Sylvie Touzeau from Niort Numeric and Mathis Weber, the winner of last year’s competition. 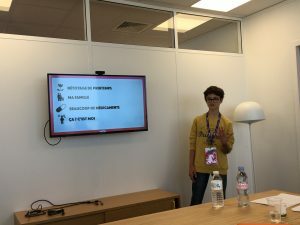 From the 10 candidates, the challenge was to select 5 who would spend one week in Niort this summer for an incubator-style week building real digital prototypes. 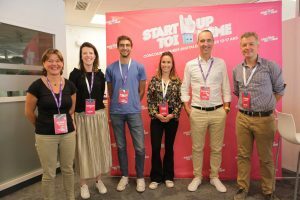 What happens in the next round of Start-up Toi-Même? Then, from this 5, the jury in Niort will select a winner to be announced on the 12th September in Paris (we’ll be there!) at the Ministry of Digital with Mounir Mahjoubi. And this is just the beginning – next year the goal is to expand the competition to cities across France. We’re excited to be involved and watch this competition grow! 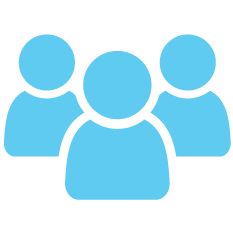 There’s no age minimum to start a company! These were not children or teenagers but truly amazing young entrepreneurs, whose ideas were incredibly impressive, thoughtfully considered and well planned out. It was tough to select 5 winners and see the disappointment of those who did not make it through this round – but perhaps this was the most valuable lesson of all – as we told them, most of the world’s most successful entrepreneurs have failed many times before succeeding and the key is to never give up. Nevertheless, these were all kids to watch – and who knows, maybe we could be seeing them again on our platform one day soon.